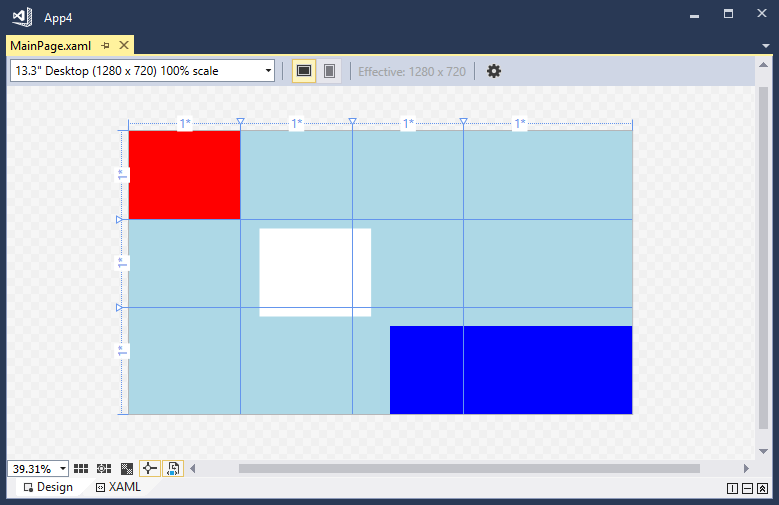 In the next demo page I have a Grid with 4 columns and 3 rows. I have placed 3 Rectangles in it. The first (Red) in the top left cell, the second (white) in row 1 + column 1, the third (blue) in row 2 + column 2 with a columnspan of 2. The ColumnSpacing is set to 48 and the RowSpacing to 24. This renders to the following result. There is a gutter of 24 pixels between row 0 and 1 and between row 1 and 2. There is a gutter of 48 pixels between column 0 and 1, between column 1 and 2 and between column 2 and 3. This last gutter is not really visible because the blue rectangle has a columnspan of 2 which means that it also draws itself over the gutter. If you remove these properties it will render like this. 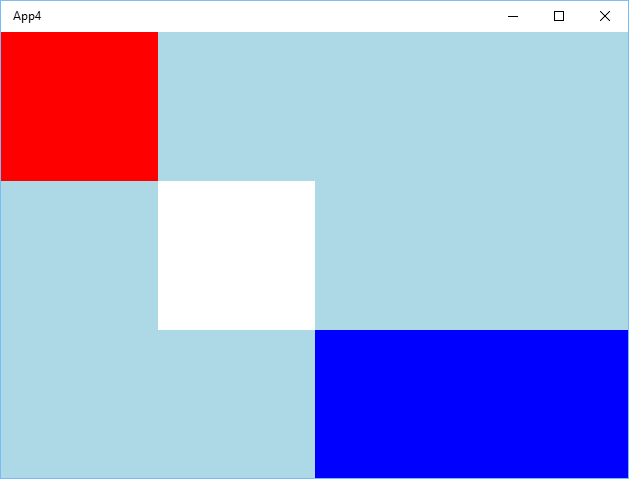 The white rectangle is connected in the corner with the 2 other rectangles. 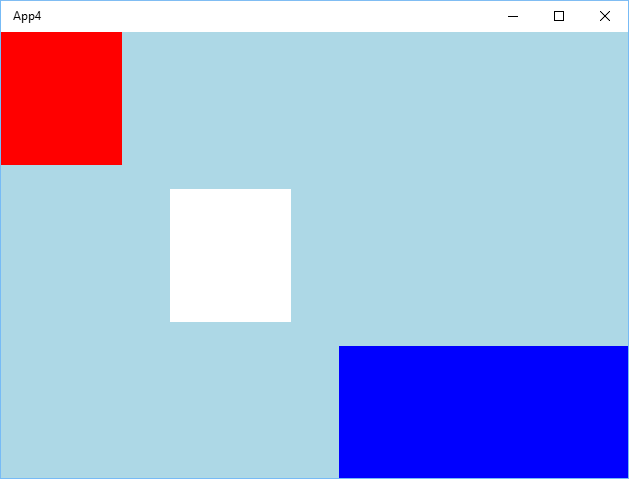 The XAML Designer in Visual Studio 2017 Preview and Blend don't render the Grid correctly yet. But I'm sure that Microsoft will fix that too. I find the new RowSpacing and ColumnSpacing properties very useful. It removes the need to set the Margin on child elements. I hope you like it too. Nice easy to understand example!